Direct Parts Marking of instruments is advancing dramatically and will be expanding considerably during the coming years. Finally there is an excellent scanner at a price that can match your budget. Datalogic has provided an excellent new product. NOTE: (we have added a new scanner to our materials). The picture is found on the picture pages and its title is Microscan Mobile Hawk. Our copy will read: “Microscan’s introduction of the Mobile Hawk provides a very balanced medium priced product to compete with the “pricier” competition. 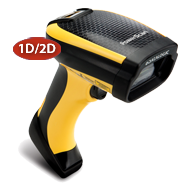 This product’s design and features deliver a great, reliable and fast read of high contract direct parts marked assets.